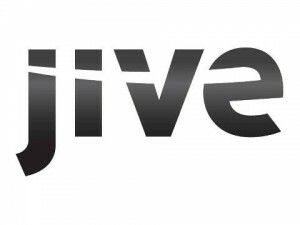 A new suite of mobile apps for iPhone, iPad, and Android devices from Jive Software, Inc. are offering workforce solutions for employees using Jive but requiring it on their smartphones and tablets. The new mobile technology allows users to create content, search for information, find experts, and take action for their devices. Users can also use the platform to create work documents on the go instead of relying on their devices to simple view documents. • Jive for iPad: a native app letting users track project progress, get up-to-date news, and build a stronger connection between remote employees and their home companies. The platform features a full rich-text editor for generating new content such as blogs and other documents. The visual search feature helps people find relevant experts and answers to their immediate questions. • Jive for iPhone 2.0: An enhanced version of Jive’s initial mobile offering, Jive for iPhone is now 50 percent faster and provides automatically curated streams of information to ignore irrelevant incoming data and highlight what really needs action. A new slide-out side menu streamlines expert Q&A and users can easily transition between communicating with internal colleagues, customers, and partners. • Jive Present for iPad and Android: The first Android app of its kind, and an enhanced version of the iPad app, streamlines field sales and employee training, compliance, and enablement. Sales leaders retain auditable control over who receives, reads, and distributes any content. Jive Present also integrates with existing CRM tools opening up access to contacts and activities synchronization.